Senate Democrats took steps to tackle election security this week, first by looking to investigate voting machines, and then by unanimously signing off on a Senate version of the House’s H.R. 1, the “For the People Act” yesterday. Sens. Amy Klobuchar, D-Minn., Gary Peters, D-Mich., Jack Reed, D-R.I., and Mark Warner, D-Va., submitted a letter Tuesday to executives at Hart InterCivic, Election Systems & Software, and Dominion Voting Systems–the three biggest U.S. voting system manufacturers–to request information about their voting system security. On top of the four senators’ investigation, all 47 senators supported a Senate companion to H.R. 1 yesterday. The bill, primarily sponsored by Sen. Tom Udall (D-N.M.) and Jeff Merkley (D-Ore.), aims to reform campaign finance laws, expand voting accessibility, as well as secure election systems. 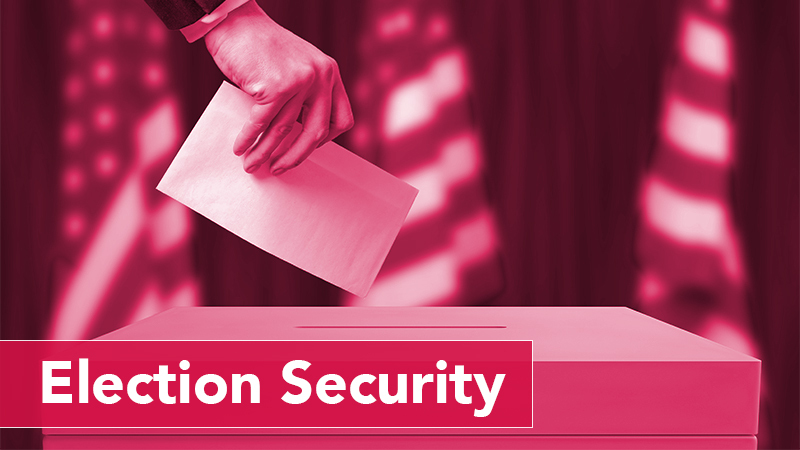 The letter and bill are two-pronged in cracking down on election security before the 2020 elections. Udall and Merkley’s bill faces an uphill battle in the Senate, as Majority Leader Sen. Mitch McConnell, R-Ky., has vowed not to bring it to the floor.